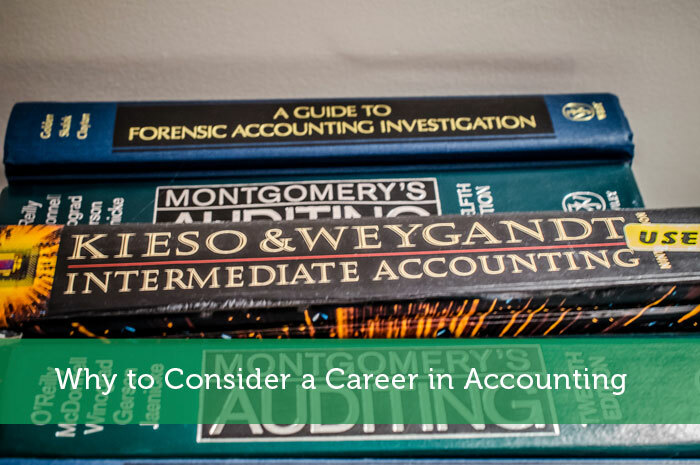 A career in the accounting realm of finance is the perfect path for a certain kind of individual. Those who thrive with numbers, mathematical rigor, routine, and accuracy are the perfect fit for this varied role. There is always a demand for excellent accountants, because these characteristics aren’t found among just anybody. But those who can excel at this job will find job security and lots of career path choices. Accounting careers are not homogeneous. People with experience in the field can find themselves pursuing many different jobs: management, program direction, research analysis, and tax specialists, to name a few. Here are five other reasons why accounting jobs may be a consideration for someone with your financial skills and interests. You Can Be Your Own Boss. Of course, accountants can work as salaried members of large corporations. But you can just as easily work from home, selling your skills to one or more clients, and setting your own hours. You may want to continue as a one-person show, or become a small business, employing others. The self-employment option is a great choice for people who want to monetize their skills while paying attention to other priorities, like family and travel. Job Security. Nearly every company, of every size, hires bookkeepers and accountants at some point or another. Wherever you call home, there will be work opportunities at your fingertips. These are specialized skills; not everybody can do this work. By putting in the hours to master accounting concepts and practices, you’ll have employment for many years to come. Variable Compensation. This field is highly varied, and compensation varies accordingly. But even at its most basic, accountants can expect more than decent income. As with many specialized financial roles, the sky is really the limit. Many Opportunities for Growth. Through education, chartering, licensing, and certification, you can add to your skill-set and find employment at high levels. The largest corporations in the world all employ accountants and, while the field is constantly changing, you will have the opportunity to follow your ambitions as far as you can. The Field is Open to People of All Educational Levels. You don’t need a degree to pursue certification and training. If you possess the mathematical faculty to demonstrate your abilities in your home nation’s testing procedures, you’ll be able to start your accounting career, no matter your formal education background. Accounting and bookkeeping is a skill-set needed at every level of society. It’s an old trade, but it is getting more varied and sophisticated all the time. By developing your skills in this field, you will be setting yourself up for long-term employment and career mobility, in any direction you see fit. You will have a job wherever you live, for as long as you care to work. Accounting isn’t for everyone, but for the right kind of person, it’s one of the best fields you can be a part of. Having just left the industry (not for good, perhpas), I would personally recommend it. Whilst busting your gut for another few years after University to become qualified is not much fun (that’s an understatement), it does give you the freedom to go self-employed or progress in industry if that is the path you choose. I can verify you are indeed not boring after listening to the debt of your podcast!